When Carla brings weird sandwiches to school, her classmates have plenty to say about them. “That’s sick!” says Leslie. “That’s disgusting!” says Natie. But Carla thinks otherwise. “It’s unique. It’s creative.” Just like Carla. Although she is teased and even ignored by her classmates, Carla’s strong inner sense of uniqueness eventually wins them over. Wacky sandwiches, wacky illustrations and kid-true dialogue make this book’s message of acceptance, tolerance and the importance of individuality extremely palatable. And who knows? Carla’s Sandwich may even help parents with that ever present dilemma – what to pack for school lunch! Chosen as an Atlanta Parent Magazine Staff Book Pick in honor of Children’s Book Month (November 2004). 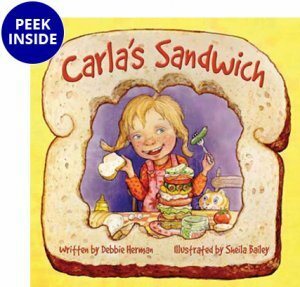 “Imaginatively written… and nicely illustrated… Carla’s Sandwich would make a popular and “kid friendly” addition to any school or community library picture book collection! 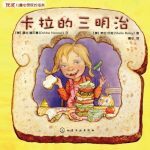 While the sandwiches are certainly unique, this book identifies how it feels for children to be different. Carla goes from being proud to be different to sad and alone at lunch. However, she does not change and eventually is accepted by the other students. Overall, this book utilizes food to deliver a positive social message. However, more emphasis is placed on different rather than healthy food choices. Try creating a fun sandwich by using healthy foods like turkey, cranberry sauce, and whole grain bread. Let your child help make their own sandwiches at lunch time. Replace regular chips with baked chips. 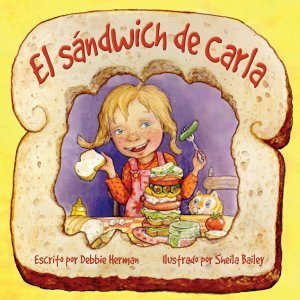 After reading the whole book my class thought it was good that the classmates in the story tried a new sandwich and were glad Carla felt better, but they were still pretty dubious about eating sandwiches like Carla’s. I brought most around to the idea that at least trying new things was a good idea, even if you worried that you wouldn’t like it. We especially enjoyed discussing descriptor words like different, unique, creative, gross and disgusting. And wasn’t it interesting that “sick” means ill, but a sandwich could be “sick” too. I love helping kids understand the nuances of words. And we didn’t even touch on sick meaning awesome in slang… ai-yi-yi. We also came up with other things to say when we didn’t like something, words that wouldn’t hurt somebody’s feelings. You don’t have to agree with people, but you can’t be mean….we talked about how Carla was brave because she kept bringing “creative” sandwiches for lunch, even when kids wouldn’t eat with her. Being different is okay and we can all be different and accept others who do things in different ways. Their way might actually be pretty good in the end, if we at least give it a try. I give Carla’s Sandwich two thumbs up. Teachers will find both important concepts and story elements to teach. And it sure lends itself to hand’s-on experiences with new foods. Debbie Herman is the author of Carla’s Sandwich, illustrated by Sheila Bailey, as well as Rosie Saves the World and From Pie Town to Yum Yum. 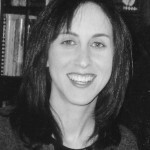 A full-time writer and editor, Debbie has worked for McGraw-Hill and Scholastic, and is currently a writer and editor at ETS/Edusoft. A former elementary school teacher with an M.A. in Special Education, Debbie resides in Jerusalem, Israel, where she makes weird sandwiches of her own. 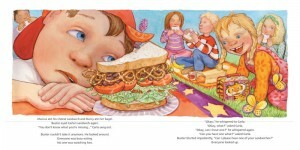 Sheila Bailey is the illustrator of Carla’s Sandwich, written by Debbie Herman. 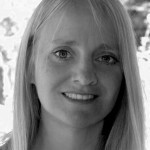 Sheila has illustrated many children’s books, including: Spaghetti and Peas, The Wizard and King Whifflegroan, and Special People, Special Ways. She lives with her family on Sauvie Island near Portland, Oregon. You can see more of Sheila’s artwork on her personal website. Check out even more activities at Storyline Online. Error: Error validating access token: Session has expired on Sunday, 23-Sep-18 01:36:16 PDT. The current time is Friday, 26-Apr-19 01:02:40 PDT.